Welcome to our FAIR PARTY at Gothenburg´s wine cellar, located in central part of the city. 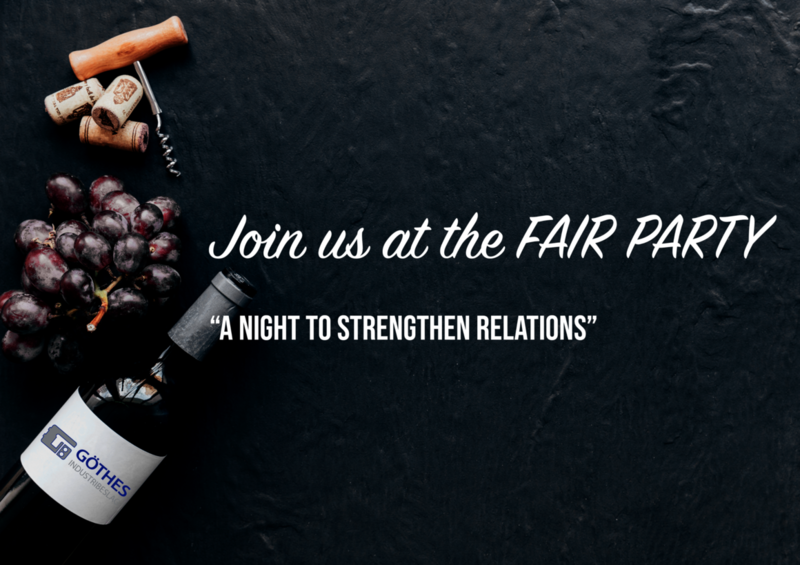 We invite you on a complete night with wine tasting and dinner, everything in a pleasant atmosphere and cozy environment with existing contrasts between antique and modern, both considered hardware, wine, and food. We need your notification latest the 6th of July. Gothenburg´s wine cellar, Norra Hamngatan 14, close to German Church. Due to limited capacity, the places will be reserved aligned a first come, first served approach. Cost: Prime production cost of 545 kr + vat. (Observe, unannounced participation at the dinner, you will be charged 545 kr + vat per person).